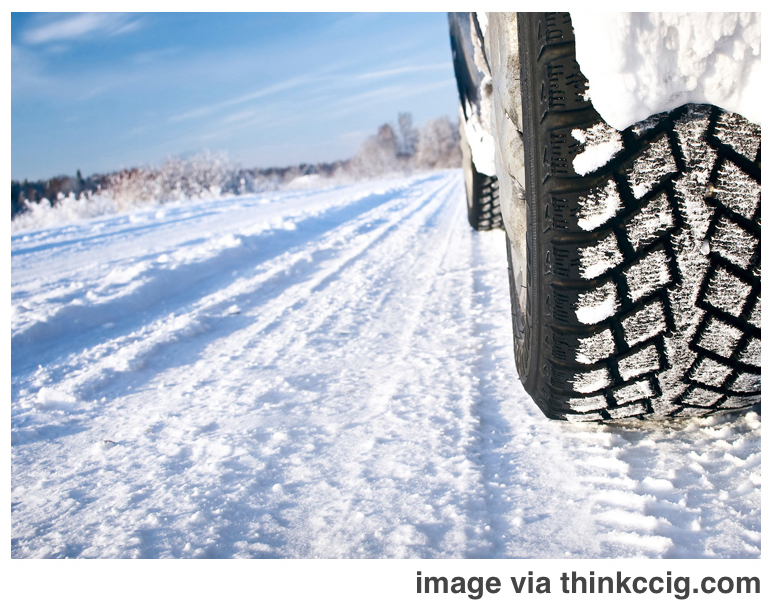 THERE’S NO TIRES LIKE SNOW TIRES — in the winter, that is! — in the winter, that is! For years — decades even! 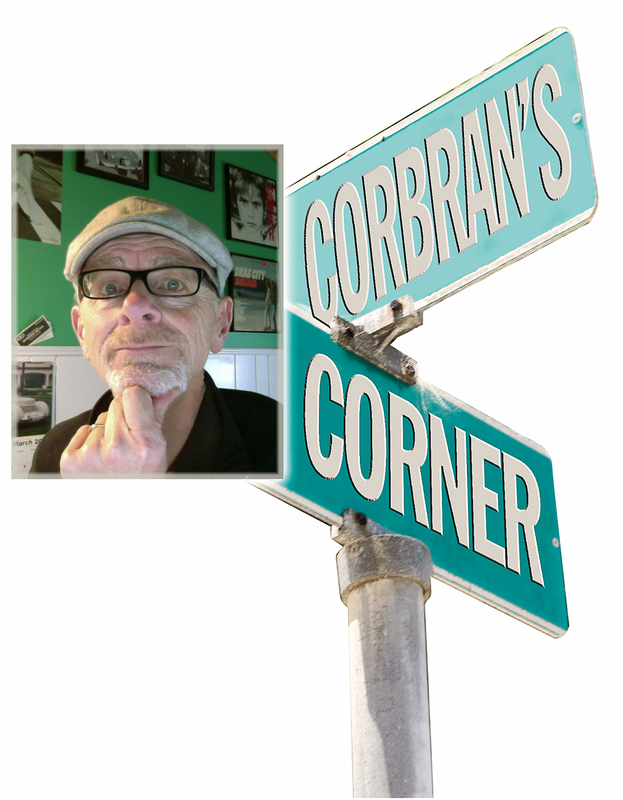 — right about this time of year I climb on my soapbox and espouse the value of snow tires for those of us living in winter wonderlands like Western New York. I’ve heard all the arguments against, so don’t bother. Don’t tell me that with your front-wheel-drive car, the weight of the engine over the drive wheels provides you with all the extra traction you’ll need. Snow tires will take that better traction and make it betterer! Plus provide a bonus in steering control. Think NYS Thruway, between plowing shifts, trying to cut through three inches of slush to pass the guy who forgets — every stinking year! — how to drive in the snow. Ditto your four- or all-wheel-drive vehicle. I can’t tell you the number of times I’ve had someone pass me — going too fast for the conditions, of course — on a snowy/slushy highway only to come upon them up the road a bit… in the ditch after losing control around a curve. Again — the snow tires on the front will greatly add to both your steering and braking ability on our often crappy winter highways. The deep tread patterns of snow tires do a much better job of grabbing hold than any set of “normal” or “all-season” tires are capable of. All-season tires are better than running non-all-season tires of course. But only in the same sense that running tires with tread on them are better than running a set of worn-out baldies. If you can do better, you should. Another argument is cost. This gets a little trickier. But if you think about it, the extra cost is a one-time thing. 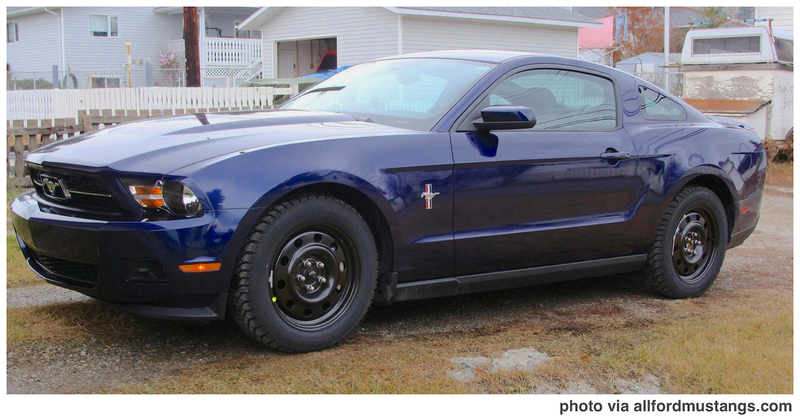 It doesn’t really cost twice as much to run summer tires for nine months and snow tires for the other three. You’re still driving just as much and putting just as many miles on your tires. So now your summer tires might last you another year or so, because they’ve spent a considerable amount of time in storage. The real cost is in buying that first set — and here’s the kicker — along with another set of rims. (Hint: buy plain ol’ steel rims). Once they’re bought and mounted, you can change them for free right in your own driveway. Or convince the teenager in the next room (or next door) to put down his laptop long enough to do it for you. A small monetary bribe won’t hurt, and it would be peanuts compared to the piece of mind you’ll enjoy driving safely through the next few months. Years ago, when most cars were rear-wheel-drive, people who bothered with snow tires at all put them on the rear wheels only. Which sort of made sense at the time. But with most cars now being front- or all-wheel-drive, safety dictates snows all around. You don’t want extreme traction in the front, with the back end of the car sliding all over kingdom come. Studded snow tires will give you superior steering and braking ability on ice or packed snow. But you give up some of that on dry or wet road surfaces, where you end up with steel meeting pavement; and in some places they’re outlawed some or all of the time. So that all needs to be taken into consideration when deciding on whether or not to stud your tires. 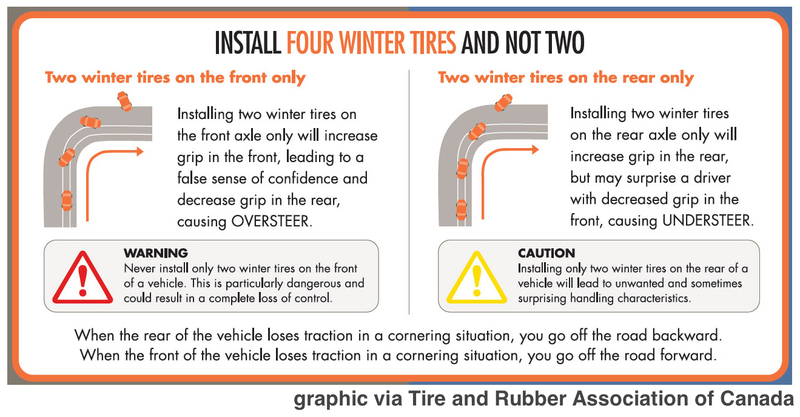 If I still haven’t convinced you, there’s a YouTube video produced by the Tire Industry Association called “Tire Safety Starts With Winter Tires.” I urge you all to take a look. Have a safe winter driving season!